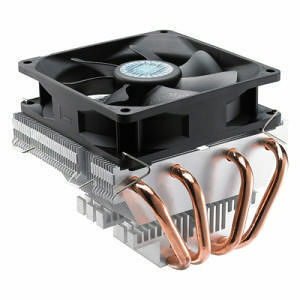 Vortex Plus is a low profile CPU cooler with compact size but uncompromising cooling efficiency. The compact feature best suits in HTPC chassis or chassis with slim width and limited space. The heatsink comes with 4 heatpipes and direct contact base to maximize the heat conductivity and dissipation efficiency. The balanced PWM fan works to provide high airflow under high RPM mode.